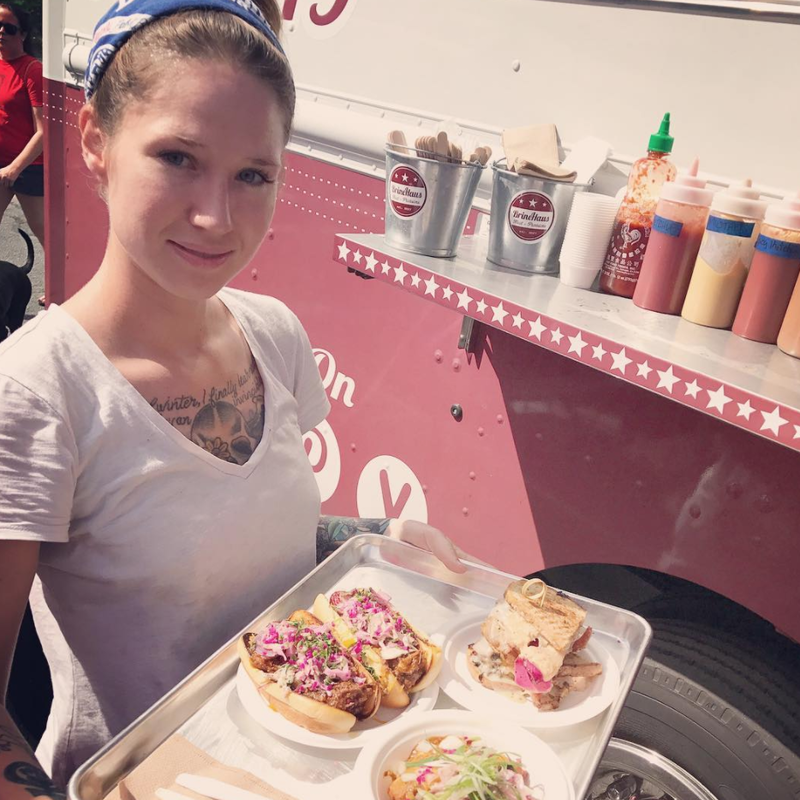 Brinehaus Meat + Provisions is an Asheville NC based food truck and catering company serving innovative whole animal cuisine across North Carolina and beyond. SOUTHERN COOKING WITH MAXIMUM FLAVOR AND A MINIMAL FOOTPRINT. Serving internationally inspired Southern cuisine with an emphasis on craft butchery, whole-animal cooking, and celebrating local purveyors and sustainable practices. Sustainability is at the center of everything we do. Our truck is outfitted with solar panels and our generator runs on flex fuel, and we only use compostable serving ware, which means no plastic. We also believe in paying our employees a living wage, and supporting our community by insisting on using local ingredients, working with local non-profits, and minimizing our footprint. Husband and Wife team, chefs and owners of Brinehaus Meat and Provisions. Steven Goff is the former head butcher at Standard Foods in Raleigh, and former Executive Chef and Owner of the King James Public House in Asheville. Steven left home at fifteen, and spent the next eleven years homeless, jumping freight trains across the US and Europe, cooking wherever he went. After being stranded in Asheville, NC, he got serious about cooking. Eventually, he opened his own restaurant, the King James, across the street from the woods he used to sleep in as a traveler. At King James, he became dedicated to supporting the local community through his food. Goff’s cooking has been recognized by Food and Wine Magazine, Bon Appétit, Garden and Gun, and many local publications. He lives in Asheville with his wonderful wife and business partner Samantha, his daughter Emma, and their bevy of animals. Sam Goff is an Asheville native who’s been working in the restaurant industry for the better part of her life, both at home and abroad. She attended culinary school, where she met Steven, and the two have been working together ever since. Sam has a strong background in working with non-profit organizations, and taught at a school for the deaf in Costa Rica. Her interest in civil justice and sustainability, as well as health and nutrition, inform her sensibilities when it comes to hospitality and food. 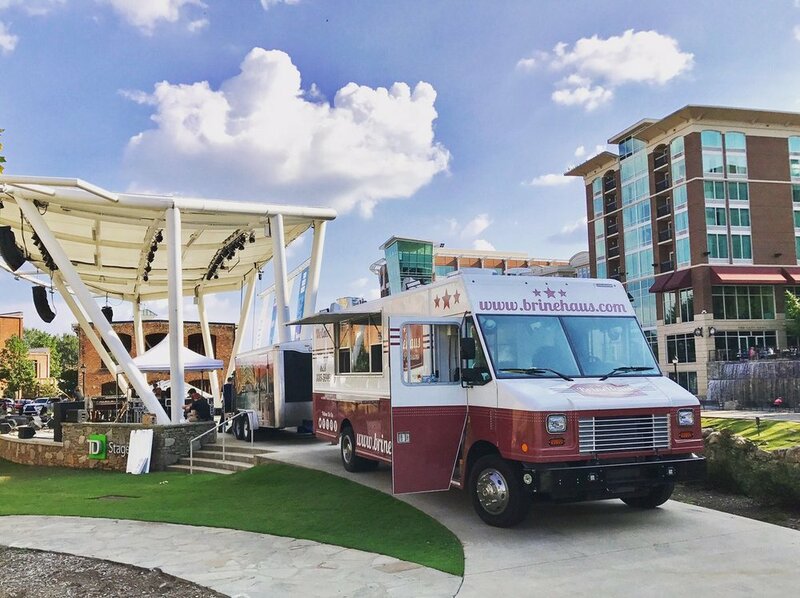 Keep up to date on specials, annoucements, events, and the daily location of our truck.